Our love for throw pillows is no secret. We have dozens of options in our assortment, from solid color velvet to hand block-printed patterns that you won’t find anywhere else. 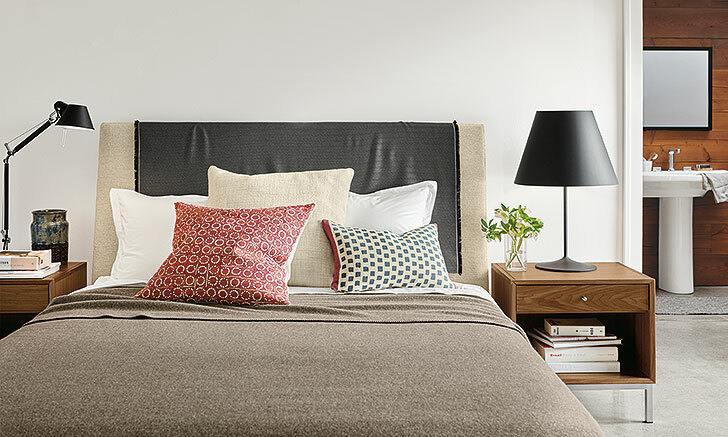 To help you create the perfect pillow mix, we offer the following mantra: Color. Pattern. Texture. Scale. Here are some great examples of how this approach gives you a balanced, modern look. 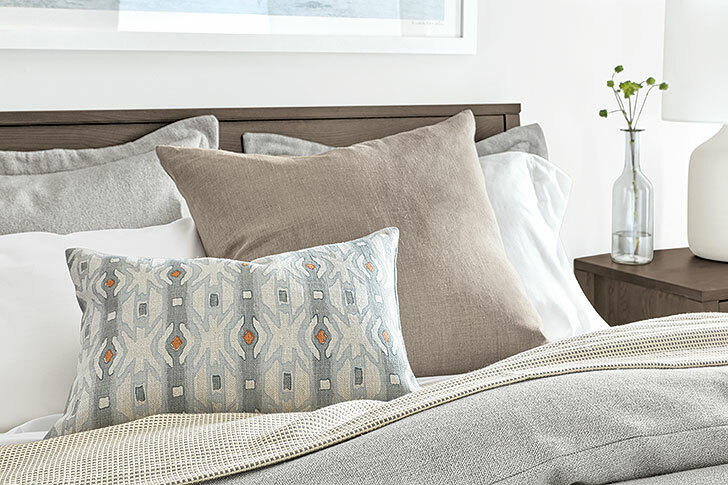 The large 22″x22″ Row pillow in seaglass anchors this look with a muted color palette. Adding two 18″x18″ patterned pillows brings symmetrical balance and reinforces the spa colors, using Rainier in nutmeg and Stack in seaglass. A 22″x13″ Biscayne pillow with a naturally textured linen cover adds variety in scale and texture. The ivory Kimball pillow has texture and sets the backdrop at a generous 24″x24″. Adding the Port 22″x22″ pillow in garnet and the Cobble 20″x13″ in coal provides complementary pattern and scale. We love this bold look. 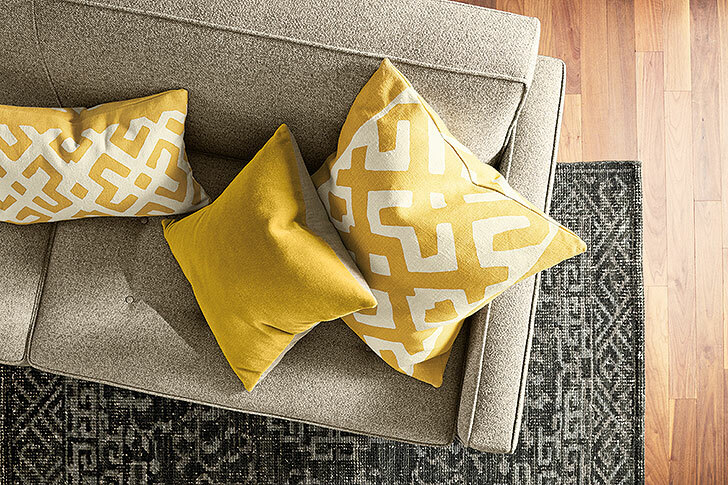 Our Maze pillows in saffron in two sizes (20″x13″ and 22″x22″) lend a strong global feel and variety in size. The plush Mohair pillow in marigold 18″x18″ brings it all together with a different texture and amps up the gold color choice for a strong statement. 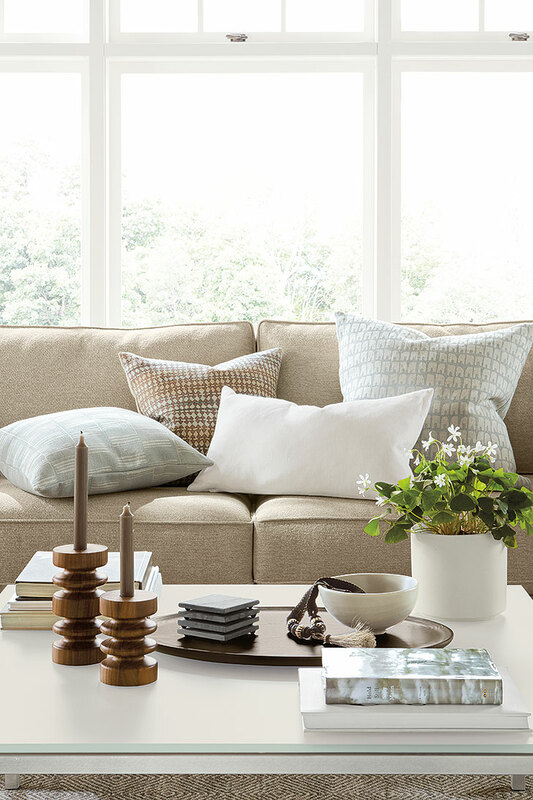 We want to see how you use Room & Board pillows in your home! Share a picture to our Customer Photo Gallery.